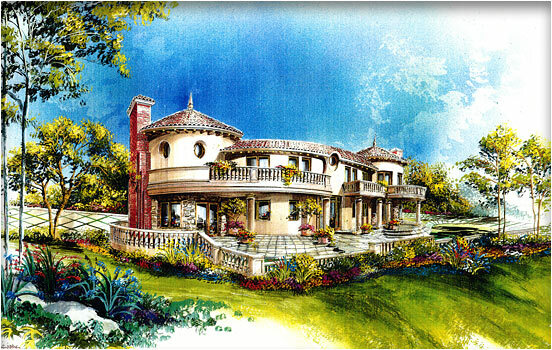 Larger Project 4-3, Artist Rendering » Roger Perron Inc. Here is an artist rendering of the project that was created prior to construction for owner visualization of the final product. The home has very unique design and construction features. This rendering is a more complete view of what is not shown in photo #2.